This year it’s one big wish, and that is that you will focus on marketing people in 2015 rather than marketing products and services. This wish comes out of the fact that I think the entire industry is becoming more and more commoditized in the eyes of solar customers and installers. We’re giddy on how prices have dramatically come down and all of the new ways to finance solar, and that has made many of us promote how low we can go—albeit with quality, standards, and yada-yada features and benefits. That’s great on one level, but…when everybody’s marketing on price and speed of installation and their definition of “quality,” and “service,” then that leaves price being the biggest differentiator again, doesn’t it? However, what you can’t commoditize are people. That is, your staff and your customers will always be individuals that other prospects canrelate to as either examples or as people who they can trust in and around their home. And your employees are your ultimate spokespeople who can share their work-day and vouch for your company’s mission, whether that’s manufacturing or installing the best. So, how do you market people and still provide information about your products and services? Market the people who use your products. Here, your messaging in brochures, websites, and videos isn’t about the specs, but about how your installers used your products and had great results. It’s part case study, but don’t forget that your customers have personalities that you can show, especially in creative share-worthy videos. Tell stories about how your product is made through employees’ eyes. Show how employees care about their job function and what their roll means to the manufacturing process. Every job function is important, but why is their role specifically important? Tell those stories. Show how employees understand the challenges that solar installers face every day and why they think your solar product meets the customer’s challenges. Every employee and customer story are going to be different, and if new prospects relate to these “people “stories (using your products and services), that will build solar brand trust that goes beyond competitive pricing. Market the people who use your installation services. Whether you’re a residential, commercial, or a utility installer, these customers should be your solar heroes and examples to others, so tell their stories about going solar. What made them decide to go solar? Tell a story about their process of going solar. How do these customers feel now that they’ve gone solar? How do these customers feel about your crew installing solar on their home or business? You might think that customers won’t care about the personalities of your installers or your warehouse people, but once again, if your price is competitive, it’s trust (and perhaps great Yelp reviews) that are going to win the bid in a competitively priced solar market. So, you must build trust, and you can do that through shining a solar light on the people that contribute to installing solar systems. Explain and show everyone’s job function and what it means for a quality installation. Show how team members care about your company and helping people to go solar. Tell stories about the day in the life of the solar installer. Do an origin story featuring your owner (and their family) and why they got into this difficult but rewarding business. You can do all of this with videos, blogs, Facebook posts, e-newsletters, and other content marketing channels. If it’s great story telling, it will resonate. Prospects who relate to your profiles of people will be inspired to change their product choices or dirty utility habits because the stories about your customers and your employees reflect their values. That’s ultimately why they will choose you over a lower priced product or service. So that’s my Solar Fred marketing wish for 2015: Celebrate and market solar people, not solar products and services. It will take some creative effort, and people are going to have to get over being camera shy, but in the end, it will be worth it. As usual, this list is my last post for the year. 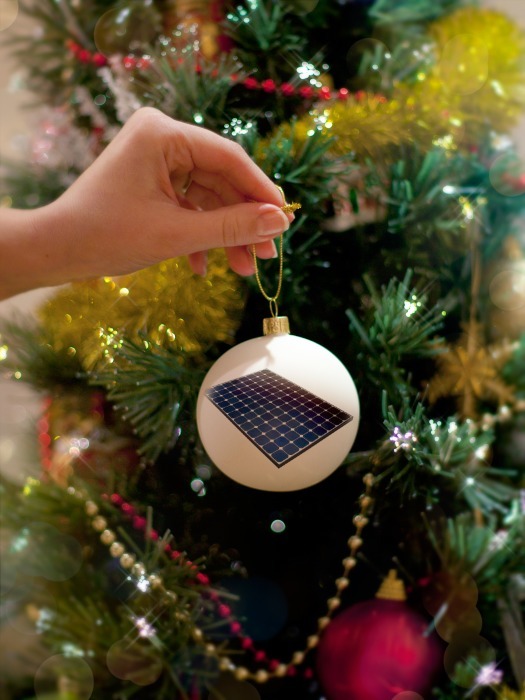 Wishing all my readers a terrific holiday and great solar success in 2015. –Oh, and of course, please … UnThink Solar in 2015.